The carols in this collection are drawn from the rich traditions of American and European Yuletide, Christmas and New Years' carols. These century-old melodies have become an important part of annual holiday traditions around the world. Some carols reflect the story of the birth of Jesus while others simply celebrate the winter season and holiday traditions. Each carol is presented in both two and four-mallet versions for mallet players with different ability levels. The arrangements can be played as a solo or together as a group. 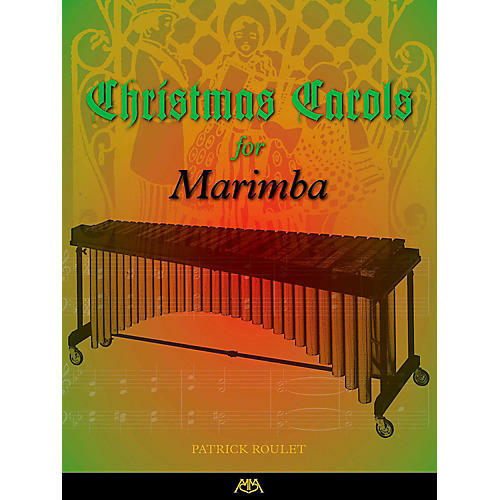 The two-mallet arrangements can be played on marimba, vibraphone, or a standard set of orchestra bells. The four-mallet arrangements are all playable on a 4 and 1/3 octave "low A" marimba. Angels We Have Heard on High, Auld Lang Syne , Away in a Manger, Carol of the Bells, Coventry Carol, The First Noel, God Rest Ye Merry, Gentlemen, Hark the Herald Angels Sing, The Holly and the Ivy, It Came Upon the Midnight Clear, Jingle Bells, Joy to the World, O Christmas Tree, O Come, O Come, Emmanuel, O Little Town of Bethlehem, Silent Night, Still, Still, Still, We Three Kings, We Wish You A Merry Christmas, What Child Is This.